Hamilton, ON – The Hamilton Port Authority has released its cargo results for the 2016 shipping season. In 2016, 562 vessels visited the Port of Hamilton, carrying 9,277,282 MT of cargo, edging out the 2015 season total by 0.4%. Hamilton continues to hold its position as the largest Canadian Great Lakes port (as measured by cargo volume). This modest increase in Hamilton’s cargo is in contrast to the overall Seaway cargo totals, which fell by 3% in 2016. The agri-food sector continues to shine within the Port of Hamilton’s cargo mix. In 2016, agricultural cargoes surpassed 20.7% of the port’s total cargo, the highest proportion ever. Commodities such as Ontario-grown corn, wheat and soybeans, and crop inputs such as fertilizer and potash made up the 2016 total agricultural tonnage of 1,916,535 MT. The port’s contribution to Ontario’s agri-food sector is poised to expand in 2017, as two major infrastructure developments come into operation: a new 50,000 MT capacity grain export terminal, under construction by G3 Canada Ltd., and a new flour mill under construction by Parrish & Heimbecker. “We’ve seen terrific momentum in the past several years, as new terminal investments have increased our capacity to get crops from Ontario farms to global markets efficiently. With these new developments on the horizon, we expect the growth trend to continue,” said Ian Hamilton, President & CEO, Hamilton Port Authority. Steel industry sector tonnage is a complex picture, with the ongoing decline in tonnage at Hamilton’s Stelco facility being balanced by positive performance among other steel players, such as ArcelorMittal Dofasco and Federal Marine Terminals. Overall, steel sector commodities such as iron ore and coal were 5,961,715 MT of the port’s total cargo (not including finished steel), representing a modest decline of 1.9%. Imports of finished steel reached their highest volume in the past five years, with more than half a million tons (509,087 MT) transiting the port in 2016. Liquid bulk commodities make up approximately 4.2% of the port’s total tonnage. These products, such as gasoline for southern Ontario consumer gas stations, jet fuel for the airport, and asphalt for area roads, totaled 394,000 MT in 2016, with volumes increasing by 17.1% over 2015. The Port of Hamilton also serves as a strategic location for the import and export of machinery and components for Ontario’s manufacturing and energy sectors. Measured in cubic metres, these are heavy-lift items such as windmill blades and heavy equipment. More than 52,000 m3 transited the port in 2016, exceeding the five-year average by 6.7%. The Port of Hamilton is more than a marine facility; it is one of Ontario’s key multimodal hubs, and rail service is an increasingly important aspect. More than 6,200 rail cars transited the port in 2016, 15.2% more than 2015, following a steady growth trend over the past five years. “We’re focused on delivering modal choice, efficiency and competitiveness to port users, helping Ontario industries thrive and our community prosper,” said Ian Hamilton. 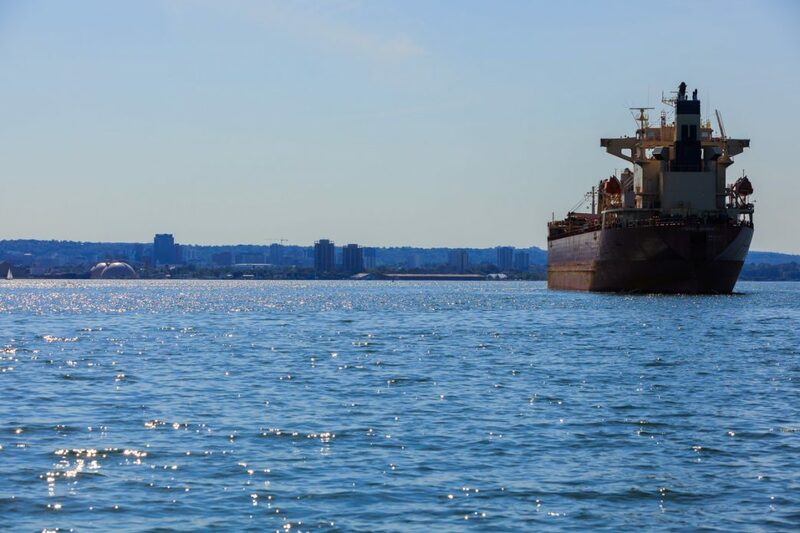 The Port of Hamilton is Ontario’s largest port, managing 630 acres of transportation-intensive industrial land on Hamilton’s working waterfront. More than 2,100 people work at the 130 companies located on port lands. The port’s employment complement has grown by 30% since 2009.